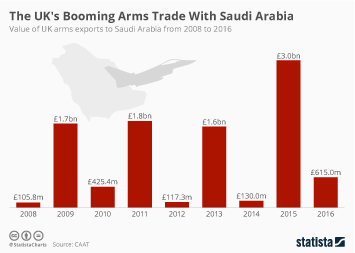 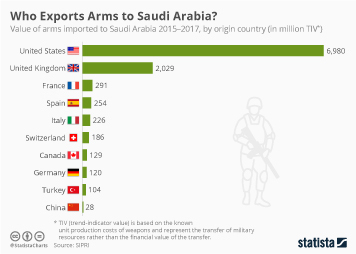 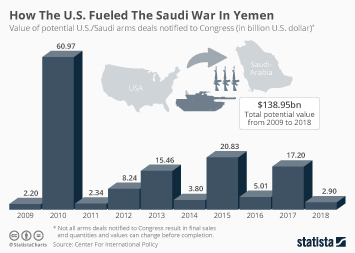 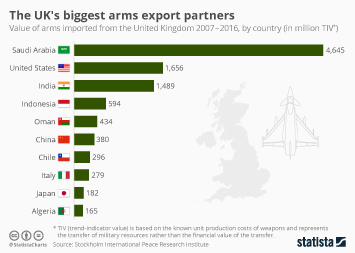 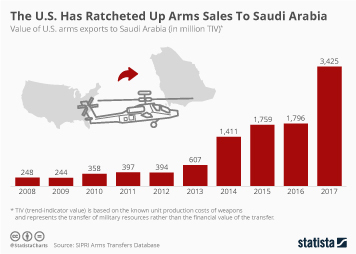 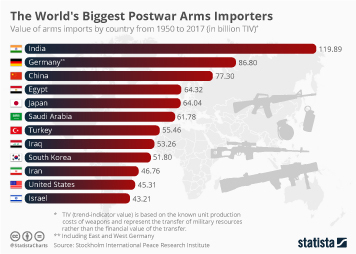 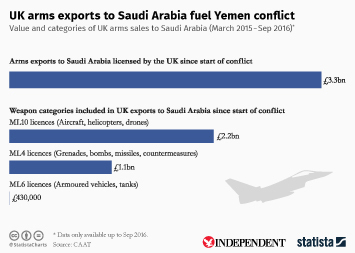 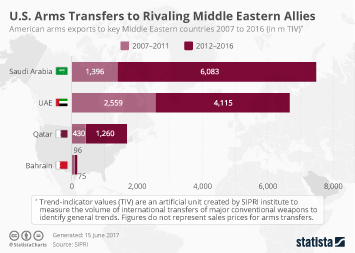 The Stockholm International Peace Research Institute (SIPRI) has released new data on the volume of global arms exports between 2014 and 2018. 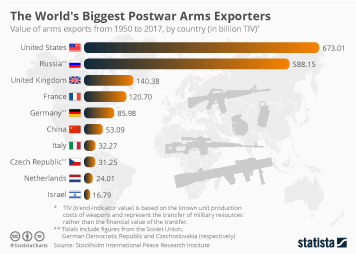 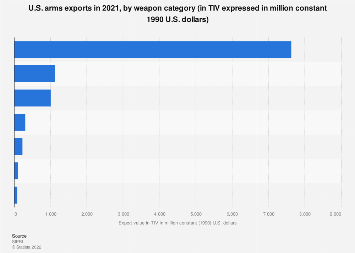 During that period, the United States, Russia, France, Germany and China accounted for 75 percent of all arms exports. 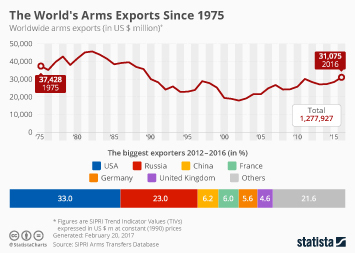 Between 2009-13 and 2014-18, the U.S. share of total global exports increased from 30 percent to 36 percent. 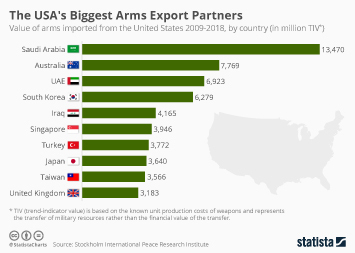 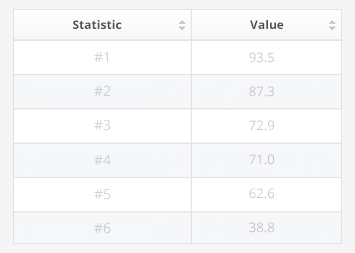 Over half of all U.S. arms exports, 52 percent, went to countries in the Middle East. 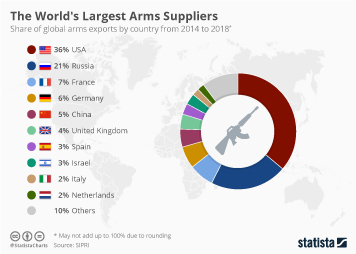 This chart shows the share of global arms exports by country from 2014 to 2018.